Holidays in Sommacampagna ↔ Discover Lake Garda! In the picturesque village in the moraine hills, you will discover the typical characteristics of the region, away from tourist tracks. Sommacampagna is located near Peschiera in the southeast of Lake Garda. The village was already known to the ancient Romans as they were the ones to give its name: Sommacampagna is derived from the Latin Summa Campanea, which means "highest land". The name is significant because Sommacampagna is located on the famous Moraine Hills that surround Lake Garda and reach the Po Valley. Those that holiday here, are less interested in the beach and the lake, and more interested in the landscape which is mostly untouched by commercial tourism. The history of the village probably goes back to the Stone Age. 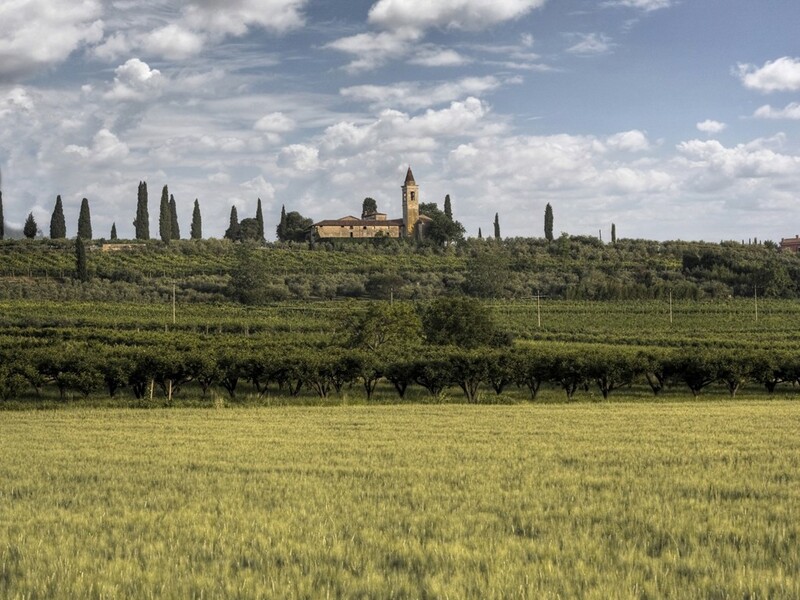 During the Middle Ages, the centre of the settlement formed around the parish of Sant'Andrea and spread over time to the hills towards Verona. In the 19th century, the nearby Moraine Hills and the district of Custoza were the scene of two Risorgimento battles - battles of the Italian unification. The mild climate of Sommacampagna is ideal for viticulture, and the area is known for the white wine Bianco di Custoza. Every year in September there is a great wine festival here. In the course of time, the residential areas of Sommacampagna have shifted from the hills towards the plain, leaving the centre somewhat deserted. In recent years, however, efforts have been made to revive the old region so that today it is again a meeting place and urban centre. Around the ancient parish of Sant'Andrea and around San Pietro, there are Roman excavations. The origins of the buildings themselves probably go back to ancient temples. In the municipality of Sommacampagna, there are some sacred buildings and sanctuaries worth seeing. Among them is the Chiesetta di San Rocco, a small church with a bell tower near the old town. Other examples include the 12th-century Santuario di Madonna del Monte, the Madonna della Salute church or the Chiesa dell'Immacolata e di S. Andrea Apostolo, dedicated to the patron saint.